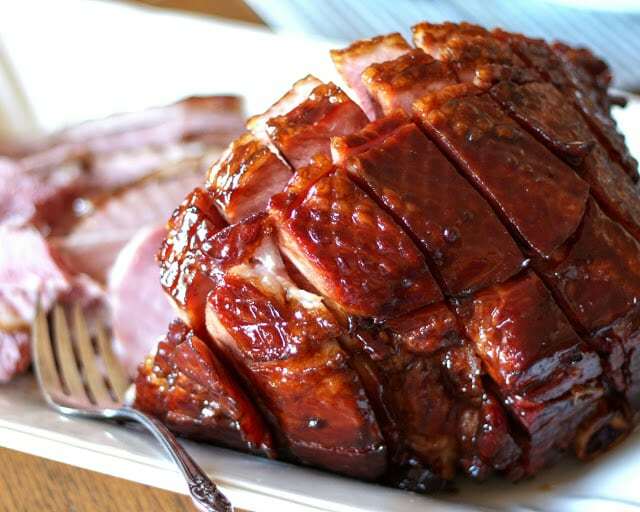 Here are some blazin' amazin' ham glazes that you must try! With only 40 days for Christmas, it’s time to start planning the Christmas feast. Or at least fantasising about it. Just don’t fantasise for 39.5 days and panic at the last minute, as is my usual strategy. 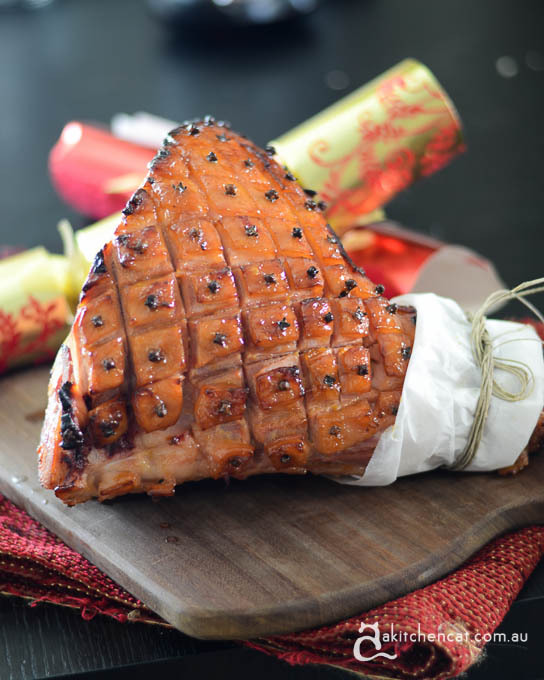 Glazed ham is one of those Christmas table must-haves that will impress your guests yet require little work on your part. Here are some of our favourite ham glazes for 2018. Tash, the clever cat from A Kitchen Cat, has come up with this fabulous glaze for a Christmas (or Christmas in July) ham. Take off the skin and score the ham in a criss-cross pattern. Don’t discard the skin if you plan on having leftover ham. Melt the jam, rum (if using), brown sugar and maple syrup in a small saucepan. Turn up the heat and reduce the glaze until it becomes a thick syrup. Place a clove into each intersecting diamond on your ham. Brush the glaze generously all over your ham then put in the oven for 45 minutes (brushing again with glaze every 15 minutes). Remove from oven and allow to cool for 10 minutes before serving. A red theme for this glaze is sure to make your Christmas table look festive! Remove skin from the ham and score the ham in a criss-cross pattern, studding with cloves at each intersection. Add the cranberry sauce, cinnamon, paprika and red wine vinegar to a small saucepan. Bring to the boil, whisking briskly, and allow it to bubble for about 5 minutes, reducing the syrup to a thick sauce. Sit your ham in a foil-lined roasting tray and pour the glaze over the top. Cook for around 15 minutes then allow to cool before carving. 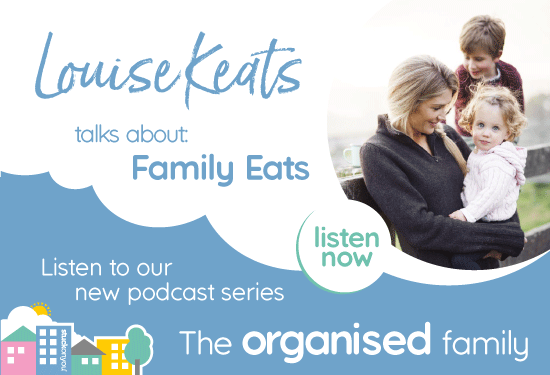 Mary Younkin, from Barefeet in the Kitchen, has come up with the super amazing glaze that is guaranteed to make a quick journey from table to tummy. See here for a full list of ingredients and instructions. Remove the ham from the fridge 1-2 hours prior and score it in a criss-cross pattern. 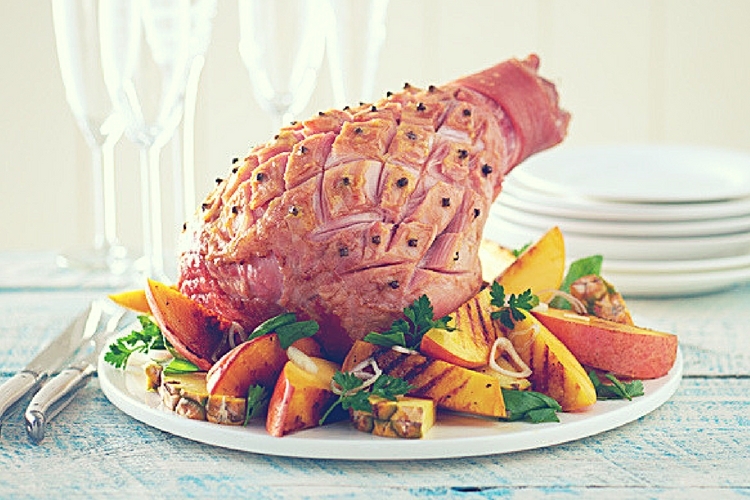 Preheat the oven at 165 degrees C and roast the ham for 45-50 minutes. Combine the sugar, vinegar and mustard in a bowl. Take the ham out of the oven and baste liberally with about 1/4 of the glaze. Return ham to the oven and continue to brush it with glaze approximately every 10 minutes until it is glazed and deep brown. Let it rest 10-15 mins before serving. For grown-up flavours that all ages will love, you simply must try this amazing glaze recipe from the talented Sammy and Bella, the worthy winners of season 2 of My Kitchen Rules. As the name suggests, all you need is some tawny port, orange marmalade and seeded mustard as well as vinegar, brown sugar, honey, pepper and cloves. Oh, and the ham. See the full ingredient list and directions here. 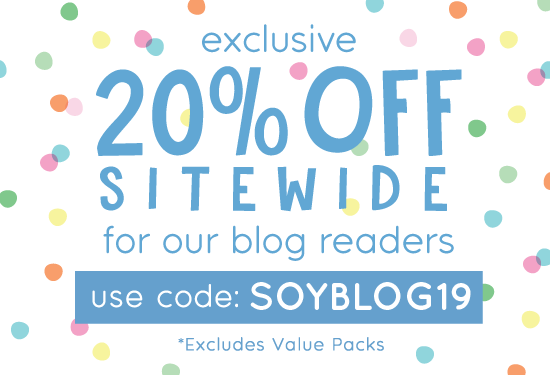 You can also check out their Facebook and Instagram pages. You don’t get much more Aussie than this! 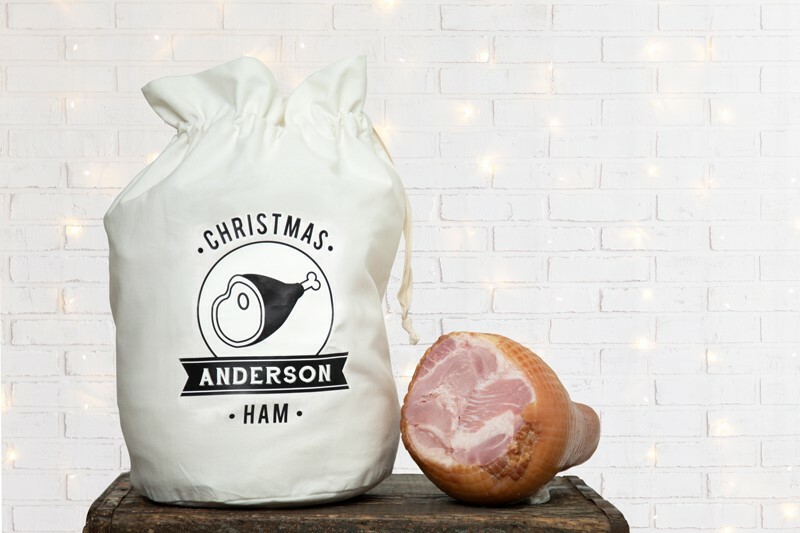 Mango, ham, pineapple and a few other choice ingredients come together in this delicious parcel of Christmas Australiana. See Your Local Fruit Shop for a full list of ingredients and instructions. 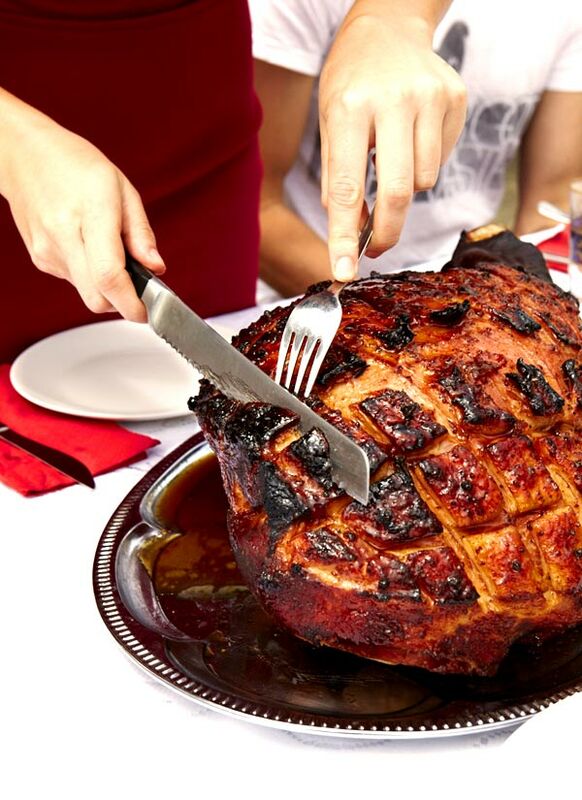 No matter how delish your ham ends up, there is one thing we can guarantee – there WILL be leftovers! If you want somewhere snazzy and functional to store your leftover ham, look no further than Stuck On You’s fab Ham Bag.